Please note: instructions for returning affected products will be issued within 48 hours - we will post them here as soon as they arrive with us. 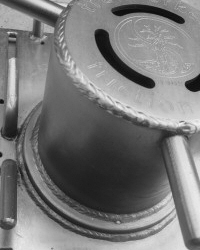 We've just received the spikescenders that fit the Buckingham, Climbright and Stien spurs... don't miss out they are on the website for ordering now. Also available the superlight titanium gaffs - awesomely light and unbelievably strong and shiny! Thanks to all who made it over to our stand at the Arb Show - it was great to see both old friends and new faces. 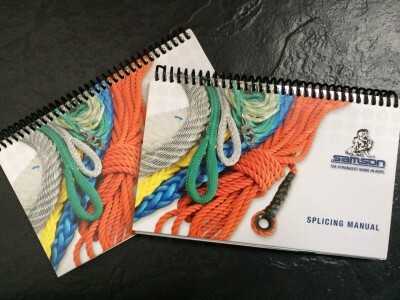 For all those of you who would like to be able to splice here is your starting point - the Samson Splicing Manual is a wealth of useful information, concise, illustrated and easy to follow. Many of you have asked when there will be another splicing workshop and there is - in Sweden(!) details below. We will be running another one in the UK soon so watch this space. 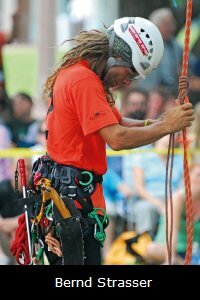 Two days of training will introduce rope handling, measurement, splice tools, double braid, hollow braid & 16 strand rope splicing techniques. Participants will be guided through each stage of producing high quality, strong & reliable splices for arborist use. 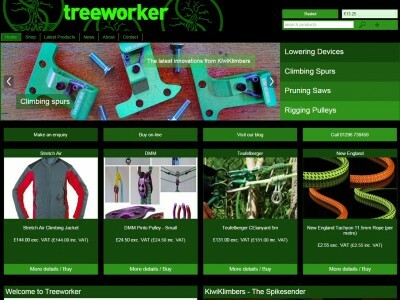 The Treeworker team have been working long and hard on this new website aiming to make it as user friendly and informative as possible. We shall be keeping it updated regularly (honest!) and using social media to keep you abreast of any new and exciting developments and products so please follow us on Facebook and Twitter to stay ahead of the game. 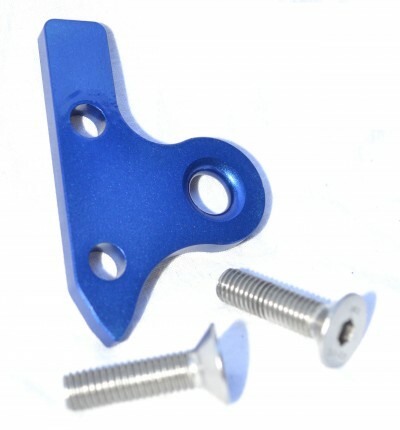 The KK SP2 is milled out of 7 series aluminum and anodized. It is designed to have two functions, firstly it keeps the tip of your spike 5mm further from the instep of your foot, this matches your Spikescender side. It is handy when using short gaffs on a thick-barked tree. Secondly you can attach your HAAS or foot loop straight to it with a small carabiner, eliminating annoying foot loop issues and minimizing the amount of rope needed under a hand ascender or HAAS. A news clip from "the world of trees". Picture: Its last spray of autumn foliage. The early hours of 10th March 2010 saw the tragic loss of yet another veteran tree. This time it was not due to development pressure or changes in soil levels or water table. 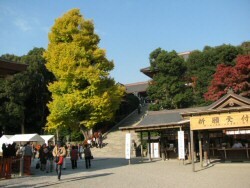 The ancient Ginkgo was uprooted during a snowstorm that blew through Kanagawa during the early hours of that day. My congratulations go out to Owen Williams who, having competed on & off for a number of years finally showed that being a young pup is not necessarily a prerequisite to being at the top of ones game. He took the crown at the Welsh Open TCC a couple of weekends ago with a climb that could only be described as just another day out at work in the trees. The climb showed a level of calm, poise & planning that to be fair stood him out head & shoulders above the other finalists. 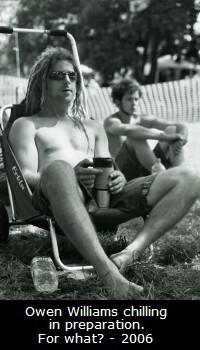 It's a pleasure to stand side by side with such talent as a long time member of the Treeworker Posse. Once again I'm pleased to bring to our customers attention the latest in hot forged goodies from DMM Wales. The rigger pulley that never was has turned into the PINTO range of sleek lined softness that will appeal far beyond the realms of the treeworld. At Treeworker we are offering the chance to preorder these beautiful beasts before they are released onto the general market. With an order already in place we will receive a delivery from the first production batch which will be followed by a much larger order in a distinctive Treeworker hue. 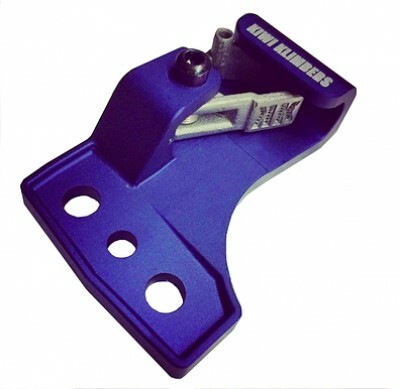 Don't miss your chance to get your hands on one of the limited stock pulleys. Treeworker are pleased to be the first arborist equipment supplies company to bring to the market place the long awaited DMM Ultra O locksafe. A symmetrical carabiner has been an elusive product in the industry due the inherent difficulties in producing such a carabiner that meets industrial load standards. Those clever people at DMM, having spent many hours in production & testing, have finally made the idea a reality with this product of sheer beauty. 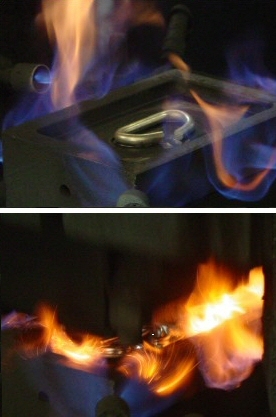 The pictures above show the hot forging production process. The Summer - Nearly behind us! It seems as if it were just a few moments ago that we were in the midsts of preparing for the Capel Manor Celebration of Trees event & now here we sit with it all behind us, again. Apart from the Irish Tree Climbing Championship all of the years events have also past. Congratulations to all of the climbers who took part, particularly to new & novice visitors to such events. I think that many people believe that climbing comps are just for the "elite", but seeing & experiencing the joy that many newbie climbers show at giving their all in friendly competition is hard to beat. This coupled with the mass of learning that can be found at TCCs continues to make them premier events in the Treeworker diary. Once again Treeworker are pleased to bring to the UK tree care industry the latest in equipment innovation from the Treemagineers stable. 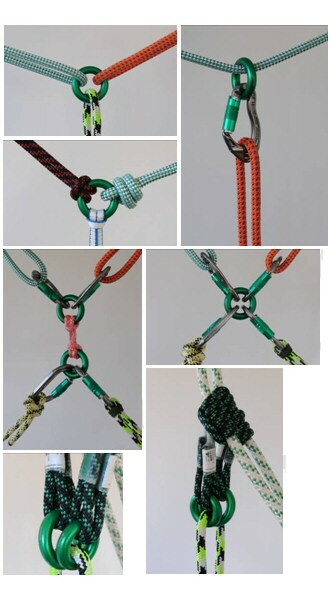 Working together with DMM Wales & Teufelberger Austria the Three Magineers (Chris Cowell, Mark Bridge & Bernd Strasser) have brought us a collection of ropes & rope tools that in time honoured fashion may become staple parts of a tree climbers equipment list. In the thorough manner that epitomises all of the products & projects that these guys get themselves involved with, I'm sure that thanks & praise will be sent in their direction for many moons to come. Treeworker continues to work behind the scenes to bring innovative products to the UK market. Often against the odds, we maintain a dialogue with designers and manufacturers to keep a stream of products flowing with prices that are well below the European average. Continue to visit our home page and blog to keep up with these new products even before they reach manufacture. 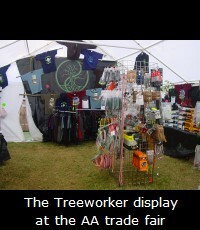 Treeworker is the result of life and work inside the arboriculture industry. The desire to help develop and supply the very latest equipment to climbers and treeworkers is deeply rooted in our philosophy. We are supported by a network of people who diligently try to improve the safety, ergonomics, efficiency and comfort of the equipment we use daily. We hope that Treeworker will continue to be an asset to the industry. International financial instability has caused frequent changes to the cost of many of our products. Our suppliers can change their prices often and it can be difficult to keep up with these fluctuations. Many of our products are sourced from outside the UK and those which aren't are often made from imported materials. The upshot of this is that occasionally a price shown on this website will be incorrect due to a sudden rise in our buy-in price and we may have to contact you with a revision before accepting your order.